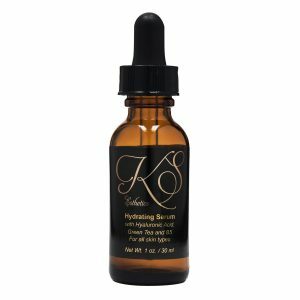 A 3 in 1 highly concentrated, powerful antioxidant serum dramatically improves the skins ability to protect and prevent UVA/UVB damage. 15% concentration of pure vitamin C strengthens the individual cells from environmental damage and neutralizes age causing free radicals. Partnered with a peptide that aids in reducing inflammation and preventing UV damage produces the ultimate protection in aging. After cleansing with a KS Esthetics cleanser and toner apply 5-6 drops of serum to the face, neck, chest and back of hands. Allow to absorb. 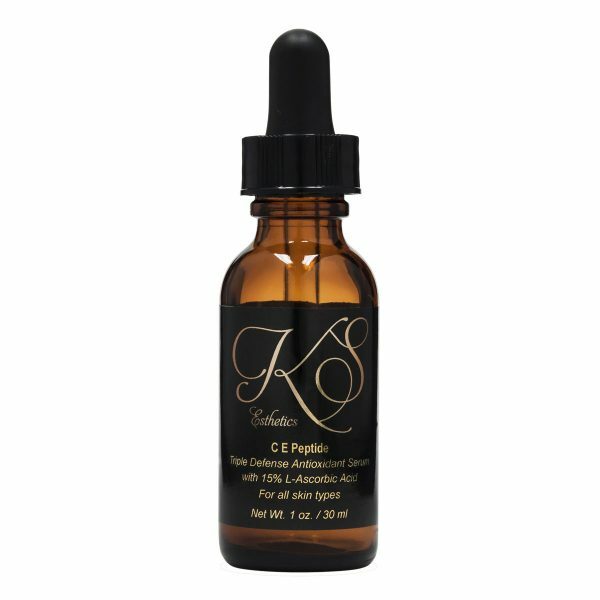 Follow with a KS Esthetics moisturizer. For best result use every morning with KS Esthetics Mineral Sunscreen and repeat application every 24 hours. Caution: For external use only. Avoid the eye area. Alert: For best results use C E Peptide within 5 months from opening. Over time, serum will darken due to light and air exposure. Darkening of the serum will not affect results or performance of product. Store in a cool dark place and keep product sealed. The most absorbent and effective vitamin C which reduces melanin production therefore brightening skin tone, reduces and prevents UV damage and stimulated collagen. Restores skin aging 3-10% by reducing wrinkles, limiting muscle movement and plumping skin. Natural hydrator found in the skin. This powerful lipid antioxidant provides hydration and anti-inflammatory properties while repairing the skin.